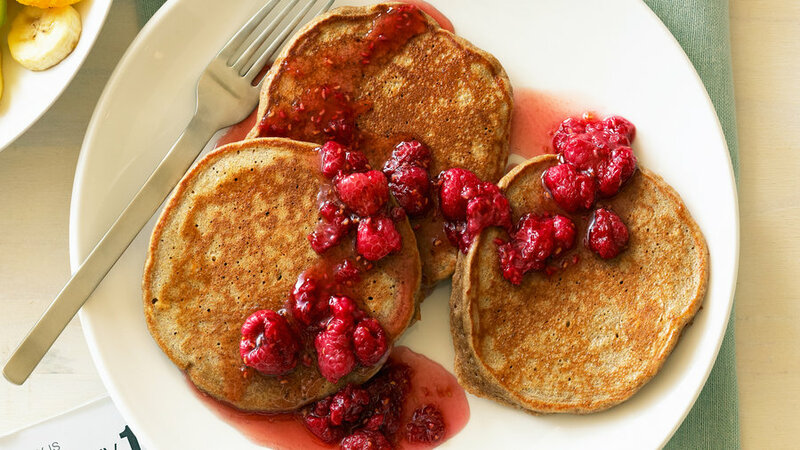 Here’s a recipe to try with some of the alternative grains that are showing up in supermarkets’ baking aisles. These Blueberry Buttermilk Pancakes have people waiting in line at Marston's Restaurant, Pasadena. 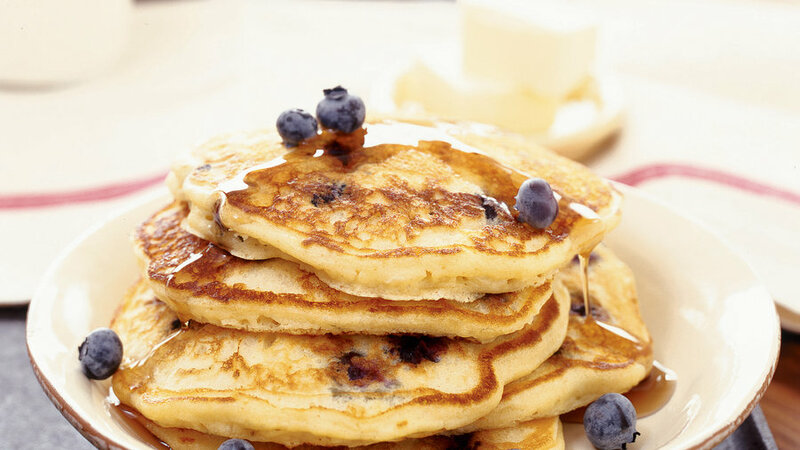 For consistency, cooks at Marston's, prefer canned Maine blueberries in syrup; we like fresh blueberries in their batter too. 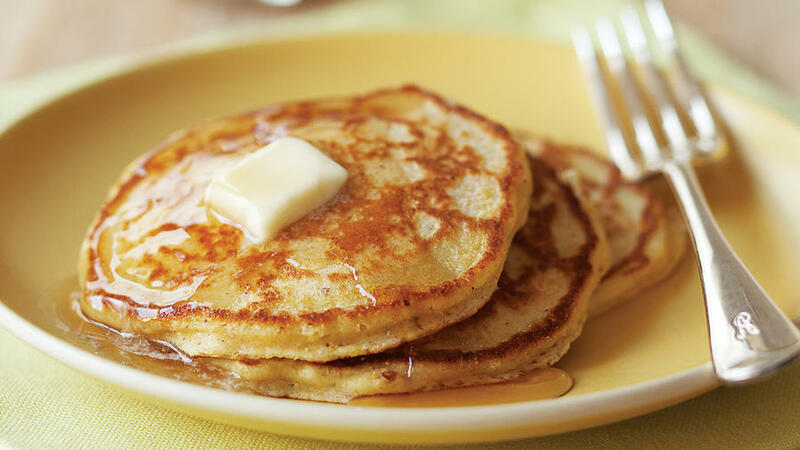 Serve these pancakes with butter and warm maple syrup. Cooks at La Note in Berkeley, California, swirl a little of the jamlike coulis on top of the pancakes. You can make the coulis up to 1 week ahead; chill airtight. Also offer butter and syrup with the pancakes. 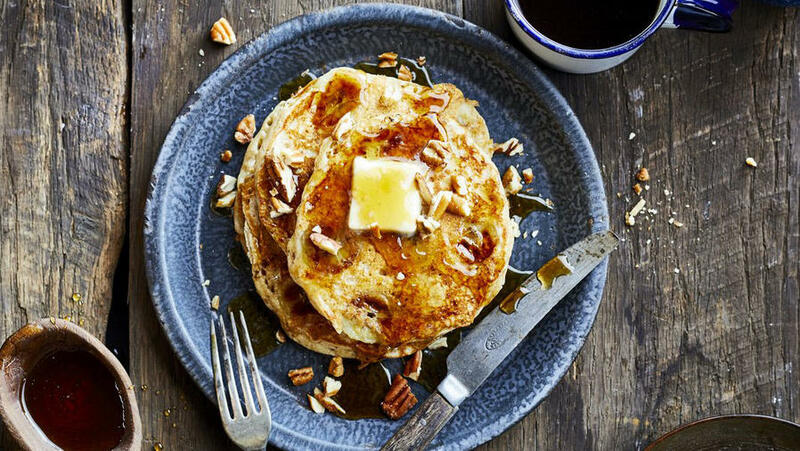 Chefs at the Coastal Kitchen in Seattle, Washington, serve these chunky pancakes simply, with butter and maple syrup. This is our adaptation of Crest Cafe's (San Diego, California) lemon-ricotta pancakes, which are served with fresh strawberries and bananas. 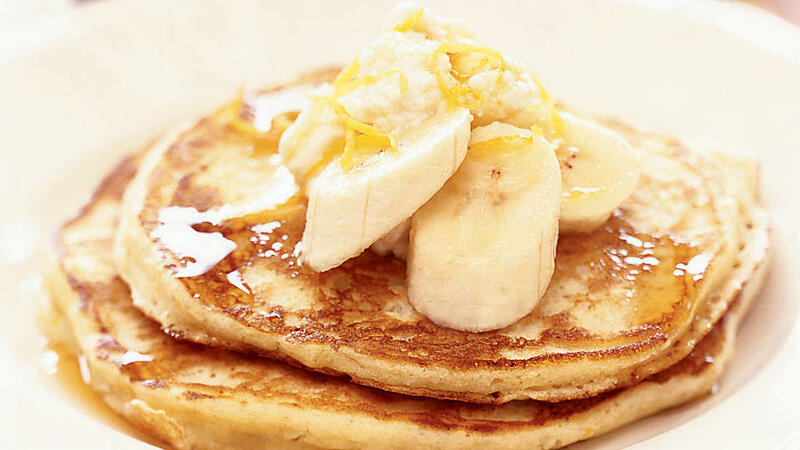 Top the bananas with a sprinkling of grated lemon peel and offer warm maple syrup to drizzle over the fruit and cakes. This is our version of a popular spring breakfast special at the Buffalo Cafe in Whitefish, Montana. 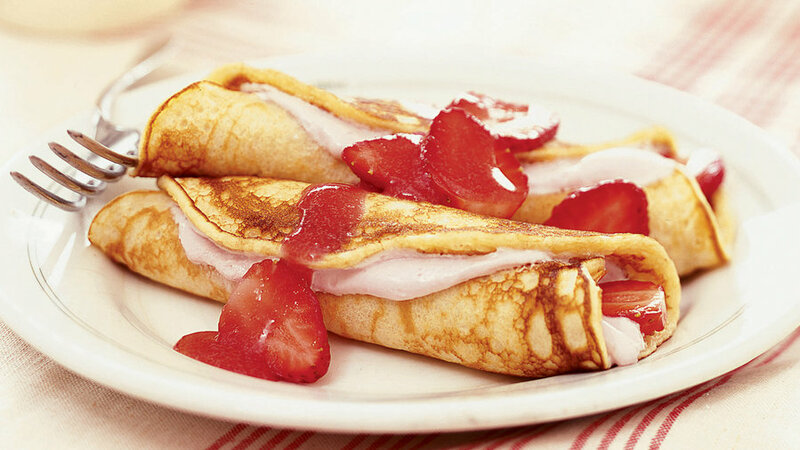 Thin and tender, the pancakes are rolled around a strawberry pink filling. You can make the strawberry sauce and cream cheese mixture (steps 1 and 2) up to 2 days ahead; cover separately and chill. Our pancakes are standard-size, but Margaret Fox makes them silver dollar-size, which she says makes them easier to flip. 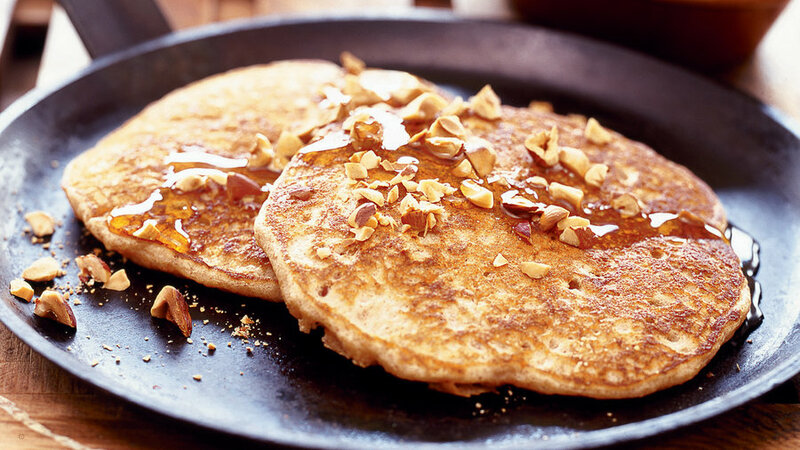 If desired, sprinkle about 1 teaspoon chopped pecans on each pancake after adding banana slices. 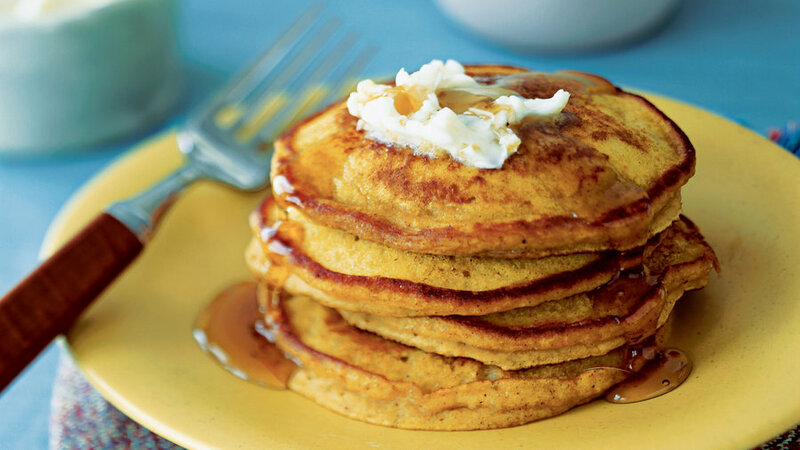 Serve pancakes with butter and warm maple syrup or a dusting of cinnamon-sugar. 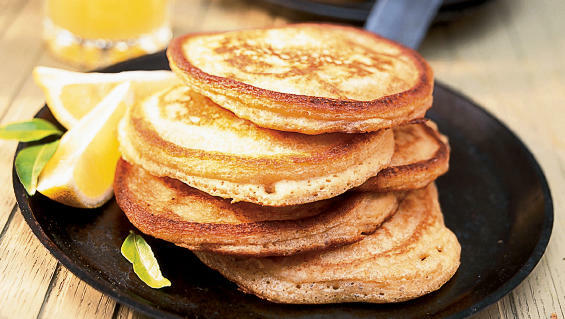 Subtle spices and a tart lemon sauce distinguish these tender pancakes by Cathi Fowler (Honor Mansion; 800/554-4667). 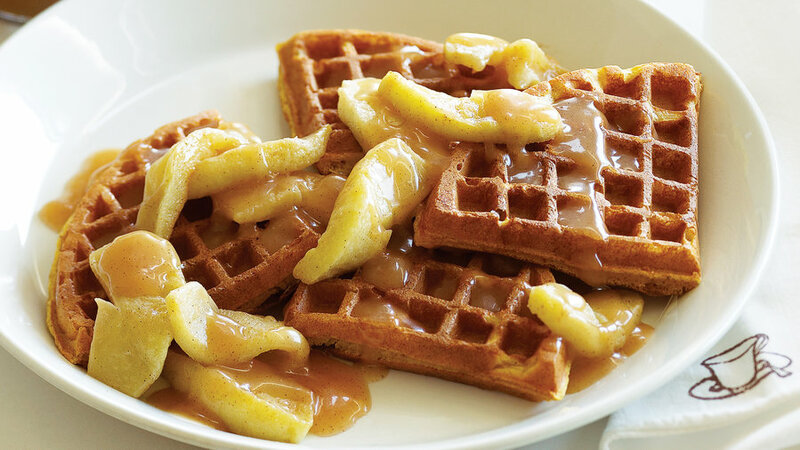 Serve topped with butter, maple syrup, and a sprinkling of cinnamon. When summer peach season comes around, dive into a plate of ricotta-filled crêpes with a juicy fruit topping. 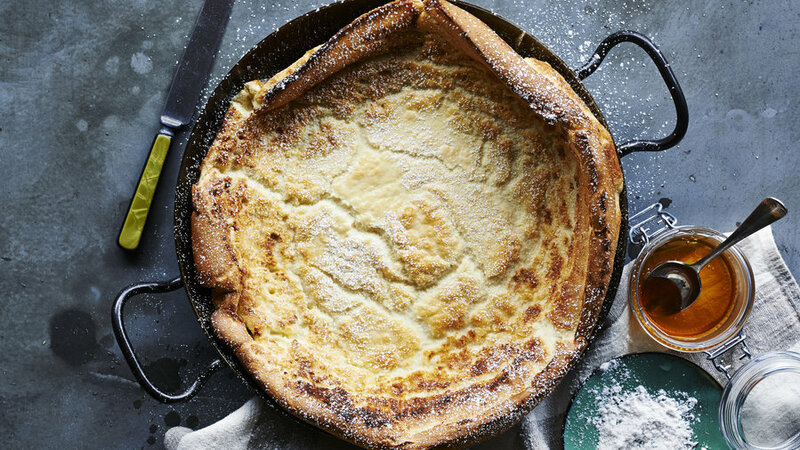 The West’s version of the German (or deutsche—which morphed to Dutch) pancake has been a favorite with Sunset readers for generations; this one goes back to 1977. 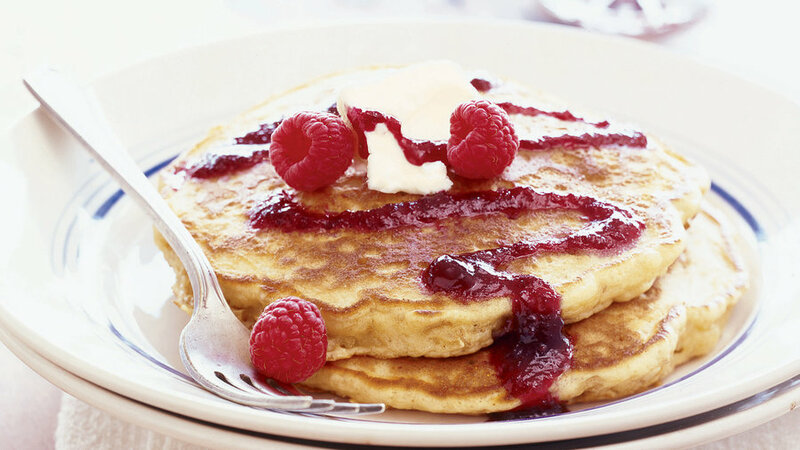 In many ways, making pancakes couldn't be simpler – at their most basic level, they consist only of flour, leavening, eggs, liquid (most often in the form of milk or buttermilk), and sometimes melted butter or oil. 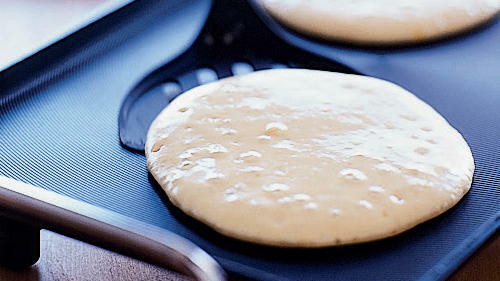 But there are a few simple techniques that ensure turning out a perfect pancake every time. 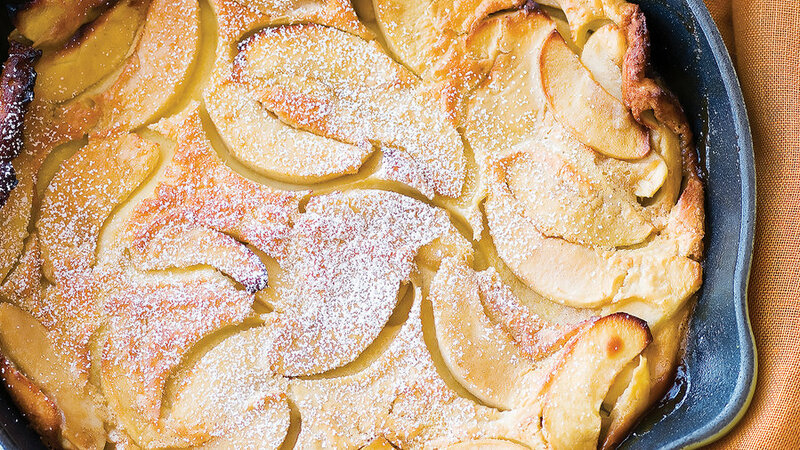 This apple version of the poufy breakfast pancake called a Dutch baby deflates quickly, so be sure everyone is gathered when it comes out of the oven. We first tried these crisp, buttery yeast-leavened waffles at a Portland food truck. 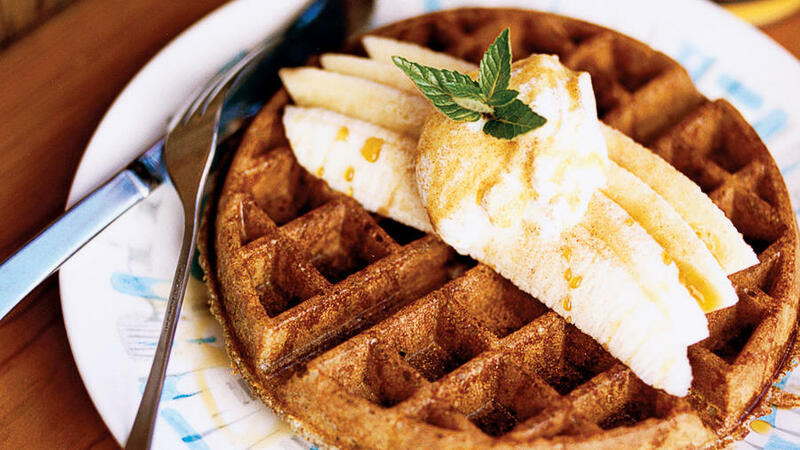 You make the batter the night before and let it rise. The kayaking outfitter who shared this outrageously good recipe with us cooks it over an open fire or on a camp stove, but it works beautifully on a kitchen stove, too. 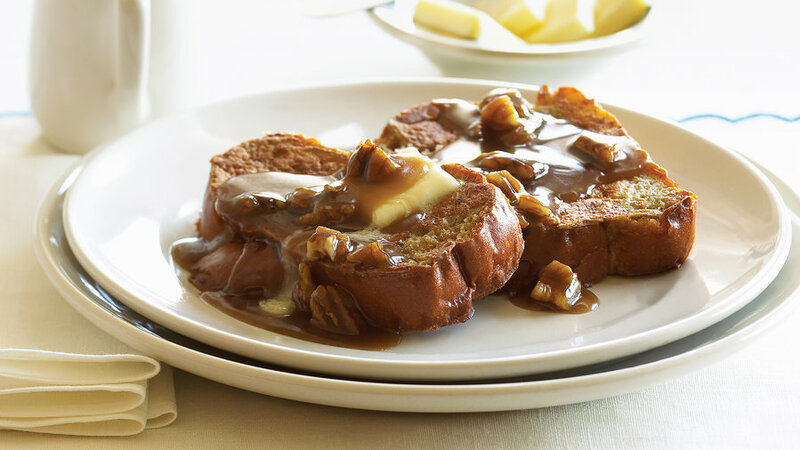 You can get a jump-start on the buttery brown sugar sauce a couple of days ahead. Buttery brioche bread (or challah) forms the “jail” to hold the fried eggs.